In common with other healthcare professionals across the globe, we musculoskeletal elves are under great pressure to account for the way in which we deliver our services and the quality of this delivery. Therefore, it was with delight that I came across a masterclass on the concept of standardised data collection (SDC), and how this can be achieved successfully in practice, by Moore et al (2012) in the Manual Therapy Journal. “an agreed instrument that enables data concerning patients, therapists and/or healthcare settings and approaches to be collected unambiguously by a range of practitioners in a number of different clinical settings”. This masterclass identifies how SDC tools can be utilised in practice to gather the information required in a robust, agreed and accessible way. The authors summarise a step-by-step method of SDC tool development, making use of consensus development methods, and provide some examples of how SDC has been implemented in both physiotherapy National Health Services and private practice in the United Kingdom. Following the use of SDC, practitioners reported having a better understanding of what was going on in their practice, and were able to look objectively at the outcomes of their service delivery. It also gave them the opportunity and motivation to reflect on their practice. The authors note that standardised data collection tools should be used in conjunction with validated/ reliable outcome measures in order to provide information about efficiency and profile of physiotherapy services. The Chartered Society of Physiotherapy (CSP) in the UK have been very active in promoting the use of standardised data collection (CSP, 2012). As part of the CSP data programme, a musculoskeletal disorders (MSD) dataset has been developed alongside recommendations for outcome measurement (CSP, 2011). In Scotland a national minimum dataset for allied health professionals has been developed (Information Services Division Scotland, 2012), still to be implemented, alongside a core set of outcome measures. 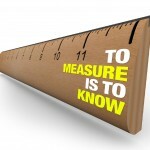 What are your experiences (good & bad) of using standardised data collection tools? 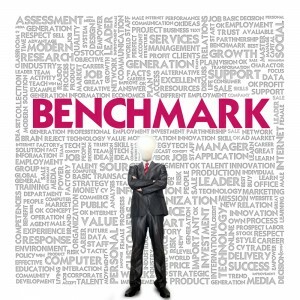 Have you attempted benchmarking your services against others? What top tips can you share with others? Send us your views on this blog and become part of the ever expanding Musculoskeletal Elf community.